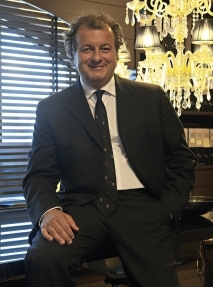 Stefano Ugolini is one the world's most visionary hoteliers. The hotels his company Hotelphilosophy manage combine traditionalism with design innovation. The man himself operates with a large dose of Italian style, charm and flare. He has a love of life and what he creates which is inspiring. 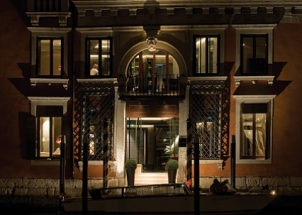 Marrying historic traditions with imagination the cigar-loving Italian has started his own Renaissance in hotel design. 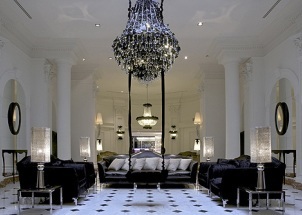 Design Hotels, which feature a number of his properties, consider him one of their 'most illustrious personalities'. His style is showcased in hotels such as Palazzo Barbarigo in Venice, Leon's Place, Rome and the newly opened fairytale Maison Moschino in Milan, created in collaboration with the Moschino fashion house. And coming soon...the Metropole in Taomina, Sicily. We can't wait. What inspired you to create Maison Moschino? The personal necessity of creating a new fashion hotel, free from the standards and conventions that characterize, for example, the international hotel chains. I was looking for a modern brand, a fashion label which could take care of the interior design and creativity of the hotel interpreting it through a new perspective. This is a new concept of hospitality, more involving and glamorous, more captivating and less impersonal and business targeted. What is the single most defining thing about Maison Moschino? Irony. Surrealism. These elements are quite unusual in the world of the hotel industry, but they do represent the fil rouge of the Maison Moschino. The style chosen by Moschino for the interior design is far from any ordinary thing. It is a very unique hotel. Yours is a select collection. How do you find the properties you wish to include? The location is one of the most relevant elements affecting the choice. It has to be unique and strategic, always near the major international transport hubs. The style of our hotels is quite eclectic. They always blend in with the location and take inspiration from the most contemporary style trends. Every hotel of ours is as unique as the town and the location where it is set; it is inspired by the surroundings and constitutes a true set design that shapes an ideal reality. To describe our properties, I love to use a definition dear to the classic and Shakespearian literature, that is locus amoenus, a romanticised place where one can live in a private and protected atmosphere. Our approach to interior design is creating set designs for the life we want to play a role in. What is the next big hotel design trend? 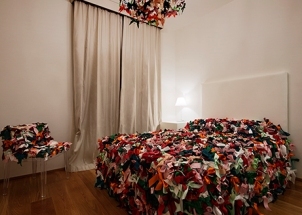 I think it is to offer a warm and welcoming experience to the guests. Nothing minimal. Something glamorous, stylish. A space where people are totally taken in, in all senses. The service of course. The kindness of the whole hotel staff. In the past, luxury meant ostentation, pretentiousness, servilism in the relations between guest and operators. Now a new philosophy has come. A new way of management [which is] more contemporaneous, more dynamic. I think a smile from a person welcoming you or taking care of your necessities deals more with luxury than a bow. Which designers and architects do you think are being particularly creative in the sphere of hotel design? I cannot help mentioning Philippe Starck. He is the first designer who began working on this kind of hotel projects. It was him who created the trend firstly. And Ian Schrager, the impresario who worked with Starck. What is the new hotel opening you are most excited about this year? Of course the Metropole in Taormina. This alluring property will open its doors again on July 18th after more than 40 years of silence and decadence. It is a five-star hotel with just 23 suites overhanging the wonderful Sicilian sea. The hotel rises inside a palace dating back to the 18th century, where Kaiser Wilhelm II went to take his afternoon tea. This is an enchanting place that is now back to its original beauty and majesty, located in the very heart of Taormina and deeply drinking its history and splendour. From the point of view of the pure concept, the best experience was at the Asia de Cuba, the restaurant of the hotel designed by Philippe Starck, where a fusion and eclectic food perfectly blends with the cutting-edge design of the spaces. In the sense of pure experience and for the gourmet, instead, absolutely elBulli restaurant of the great chef Ferrian Adrià, who also inspired the style and food of our chef Moreno Cedroni. Singapore Airlines for the perfect service. I can't tell of 3 things that I never travel without. I can even travel with nothing so long as I travel. Passport and mobile however are always with me. Travel to Asia. The best destinations are Bangkok, Hong Kong, Singapore, Shanghai. In all these places I found a surprising approach to luxury with a new way of offering services, more dynamic, ever evolving. The best accommodation, the best food, a first class flight. Money can grant you a high quality travel. At the top, I would say a private jet for flights inside the European countries. The way of being a traveller. The way of choosing places. The instinct guiding you in the scheduling of your travel. The freedom of mind that lets you get surprised by the new things you see, experience and discover.